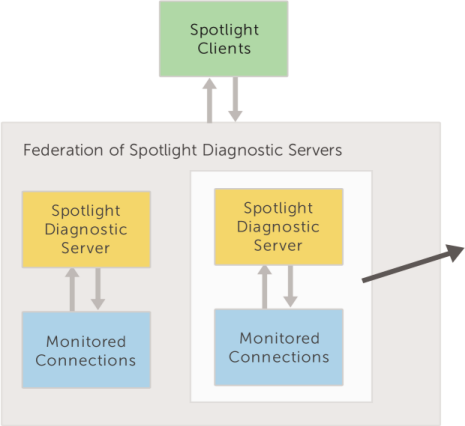 How to remove a Spotlight Diagnostic Server from the federation and the implications of removing the Spotlight Diagnostic Server. Open a Spotlight Client in the federation. From the Spotlight Client, click Configure | Diagnostic Server | Federate Diagnostic Servers. Select the Spotlight Diagnostic Server to remove. Confirm your request to remove the Spotlight Diagnostic Server from the federation.